The Human Resource Manager (HR) develops and implements a solid human resource plan for all band employees along with creating, managing, and maintaining accurate personnel files. All human resource staffing issues are dealt with through HR with support from the Program Directors/Managers including employee monitoring, management, recruitment, and assessments . Both the Director of Finance and HR work hand and hand to assure proper communications throughout the department and band. HR is responsible for developing an employee-oriented organizational culture emphasizing on continuous improvement, team-work, high performance and quality. HR ensures that both Federal & Provincial labour regulations and statutes, as well as organizational policies and procedures, are adhered to. 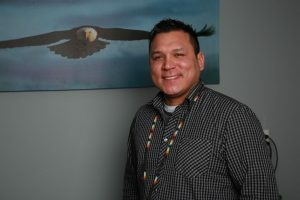 Skownan First Nation employs over sixty (60) individuals in all program areas and businesses. Staff meetings are held on a monthly basis with annual professional development gathering held to provide staff with the best possible skills, training and knowledge to better serve our community. The staffing principles of merit, equity and fairness apply to both competitive and direct appointments. A competitive appointment (interview) is by its nature more transparent, and therefore may be perceived by employees and the public to be fairer. Skownan First Nation adopts a preferential hiring policy, meaning that “qualified” members be recruited from within the community or get “first choice” at obtaining a position providing character, personality, and qualifications are met. The next in line will be non-members who live in the community. Failing that, the First Nation shall go out of the area. It is to be understood that existing staff who are non-members remain until a vacancy occurs. The hiring process will be directed by a Program Director/Manager or Designate, and a portfolio member of Council, and undertaken by HR, the Program Director, “Committee Member”, and/or Band Staff and any other technical expertise as required. Chief and Council do NOT participate in the hiring/interview process and are provided with recommendations from the interview panel only. A review of qualifications and previous experience and references. Preference in hiring consideration shall be given to Anishinabe Ancestry and/or Anishinabe-speaking persons who are members of Skownan First Nation with consideration of previous educational and/or training, past work experience/history, and performance. It is mandatory for all applicants for employment to submit a Child Abuse Registry Check and Criminal Record Check. These documents will be placed in each employee personnel file. The employer has the right to review and decide upon each individual application on its own merits. Skownan First Nation reserves the right and authority to, under specific circumstances, directly appoint an employee to the temporary performance of duties of a position for a specific period of time. A direct appointment occurs when the employee selected is the only person considered for appointment under specific conditions outlined below. All direct appointments must be authorized by the Chief and Council, the Director of Finance, and HR, subject to the regulations of this Policy.